Most cranes, earthmovers and similar equipment are operated using hydraulic systems. In order to control the movement, holding, gripping or applied force, pressure sensors are utilized to monitor and provide pressure feedback to these systems. Using pressure sensors will also allow the operator to fully control the mechanical devices and apply known high force or load effortlessly. 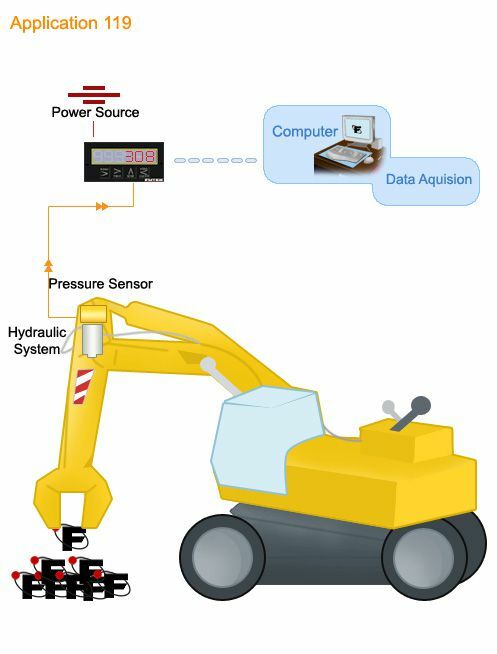 The pressure sensor can also be used to monitor the hydraulic fluid level for preventive maintenance. If and when the fluid pressure begins to reach an unsafe level, the user would be notified.